Previous image, 68 total items. Next image, 68 total items. Witness gorgeous sunsets that set the sky ablaze, lounge in glitzy resorts and discover historic medieval ruins in this glamorous stretch of coastline. 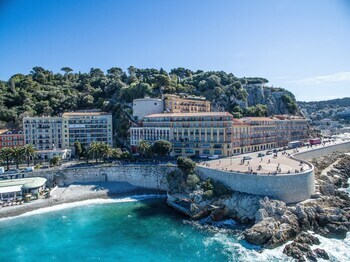 With its sparkling waters, picturesque beaches and consistent warm temperatures, the French Riviera is a dream vacation destination. Bring along your walking shoes and wander through medieval towns, stopping at galleries to admire artworks. Spot celebrities relaxing on the decks of their private yachts and enjoy a sophisticated nightlife scene that lasts until the early hours. 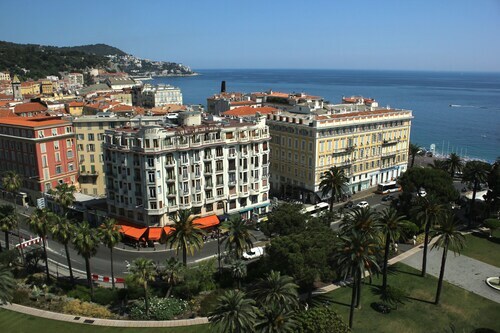 For an oceanfront city break, head for Nice, which offers lots of accommodations as well as year-round activities. Climb up to the elevated Parc du Château to spot castle ruins and take in beautiful views over Nice’s rust-colored rooftops. 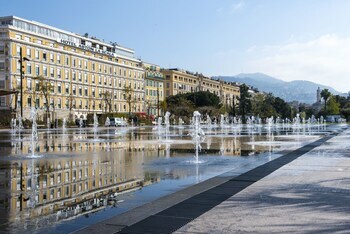 Take a Segway tour of the Promenade des Anglais, a stunning waterfront walkway just steps from the sand. The hills overlooking Nice are dotted with attractive medieval towns such as St. Paul and Vence. In the past, many artists flocked to these towns seeking peace and creative inspiration. Step inside the Chapelle du Rosaire de Vence, which was designed by the iconic French artist, Henri Matisse. Sketch sculptures at the Fondation Maeght, a gallery with a large collection of 20th-century art and sculpture. Seaside towns can be found strewn along the sun-soaked coast south of Nice. Ride an electric tour boat through the canals of Port-Grimaud, admiring the pastel-colored houses and marvel at the million-dollar yachts moored in Port Vauban. Even further south sits the beach and spa town of Juan-les-Pins, famous as the one-time home of writer F. Scott Fitzgerald. For more glitz, head to the glamorous resorts of Beaulieu-sur-Mer and Villefranche-sur-Mer, just north of Nice. July and August draw the largest crowds to the French Riviera, so go in April, June, September or October for a quieter experience. For the chance to spot film stars, plan your trip for May when the Cannes Film Festival is on. To explore a good cross-section of the region, rent a car. Zip along coastal roads and stop at small Mediterranean towns along the scenic RN 98 to admire the natural beauty of the French Riviera. 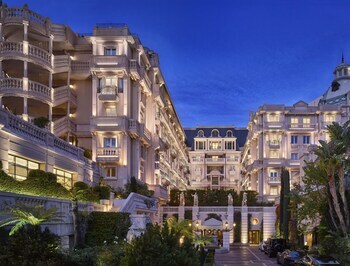 Located in Nice City Centre, this luxury hotel is steps from Blue Beach and Promenade des Anglais. Place Massena and Cours Saleya are also within 15 minutes. Massena Tramway Station is 9 minutes by foot and Opera - Vieille Ville Tram Station is 12 minutes. 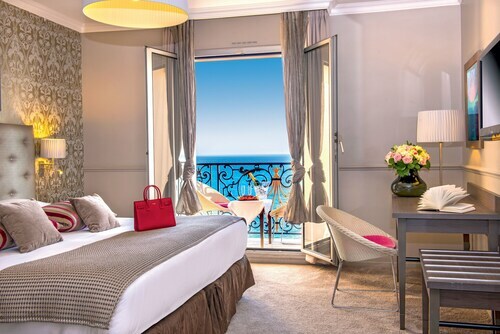 Located in Nice City Centre, this family-friendly Nice hotel is steps from Blue Beach and Promenade des Anglais. Place Massena and Cours Saleya are also within 1 mi (2 km). Massena Tramway Station is 15 minutes by foot and Opera - Vieille Ville Tram Station is 17 minutes. 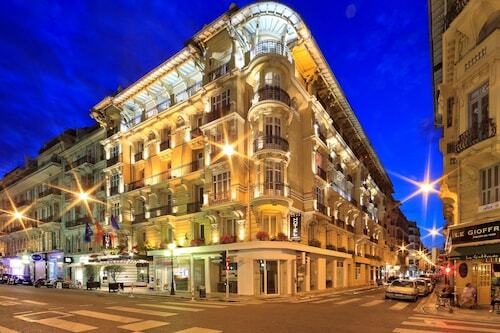 Located in Nice City Centre, this hotel is within 1 mi (2 km) of Avenue Jean Medecin, Place Massena, and Cours Saleya. Nice Acropolis Convention and Exhibition Center and Castle Hill are also within 2 mi (3 km). Jean Medecin Tramway Station is 9 minutes by foot and Massena Tramway Station is 9 minutes. 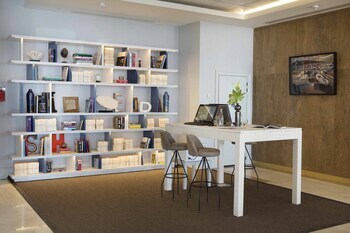 Located in Nice City Centre, this hotel is within a 5-minute walk of Blue Beach and Place Massena. Cours Saleya and Castle Hill are also within 1 mi (2 km). Opera - Vieille Ville Tram Station is only a 5-minute walk and Massena Tramway Station is 5 minutes. 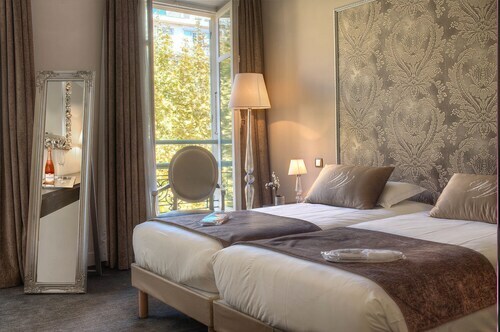 Located in Nice City Centre, this hotel is steps from Avenue Jean Medecin and Place Massena. Cours Saleya and Nice Acropolis Convention and Exhibition Center are also within 15 minutes. Massena Tramway Station and Opera - Vieille Ville Tram Station are within a 5-minute walk. 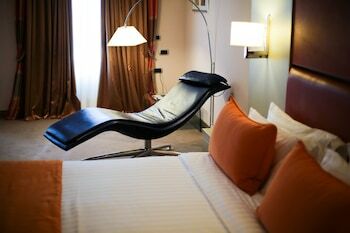 Located in Nice City Centre, this hotel is steps from Courthouse Square and Cours Saleya. Nice Opera and Place Garibaldi are also within 10 minutes. Opera - Vieille Ville Tram Station is only a 2-minute walk and Cathedral - Vieille Ville Tram Station is 4 minutes. 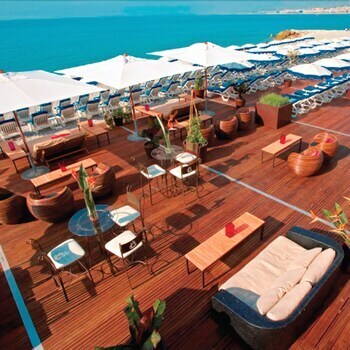 Located in Nice City Centre, this hotel is steps from Blue Beach and Promenade des Anglais. Place Massena and Cours Saleya are also within 15 minutes. Massena Tramway Station is 12 minutes by foot and Opera - Vieille Ville Tram Station is 13 minutes. 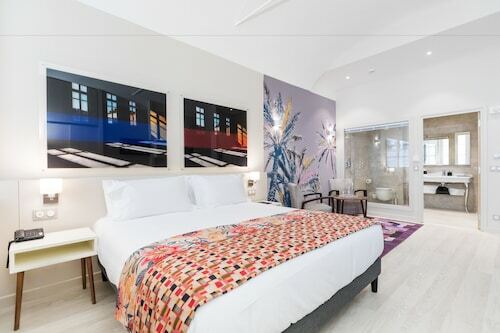 Located in Nice City Centre, this luxury hotel is steps from Avenue Jean Medecin and Place Massena. Cours Saleya and Nice Acropolis Convention and Exhibition Center are also within 1 mi (2 km). Jean Medecin Tramway Station is only a 5-minute walk and Massena Tramway Station is 6 minutes. Sat., 23 Nov. - Sat., 7 Dec.
Fri., 4 Oct. - Fri., 11 Oct.
Wed., 26 Jun. - Mon., 2 Sep.